Dorte Jelstrup and Kathrine Ærtebjerg won the Open Call at Den Frie Udstillingsbygning, Copenhagen, Denmark, with the exhibition project Writings of Bodies <<< We Know It From The Inside >>>. The exhibition will be held November 30, 2019, till January 5, 2020, at Den Frie Udstillingsbygning, Copenhagen, Denmark. The exhibition Writings of Bodies <<< We Know It From the Inside >>> takes its philosophical starting point in the legendary and ecstatic core text of Helene Cixous "The Laugh of The Medusa" from 1976, where Cixous emphasizes the overriding centrality of the fact that women write and creatively give shape to their bodily based experiences in textual artifacts, thus also in visual artworks. Ursula Reuter Christiansen, Jeannette Ehlers, Dorte Jelstrup, Kirsten Justesen, Sophia Kalkau, Stense Andrea Lind-Valden, Lilibeth Cuenca Rasmussen, Elisabeth Toubro, Maria Wæhrens, Kathrine Ærtebjerg. Writings of Bodies <<< We Know It From the Inside >>> is curated by Dorte Jelstrup and Kathrine Ærtebjerg. Dorte Jelstrup. I kept myself open towards you, II, 2014/2015. Acrylic, pigment and satin ribbons on linen. 99 x 70 cm. Marianne Therese Grønnow. When It Falls, 2009. Original lithograph. Printed on 300 g. Velin d´Arches paper. 70 x 100 cm. 100 ex. numbered and signed by the artist. We are delighted to announce that Molly Haslund has completed three new public sculptures for Mårtenstorget in front of Lunds Konsthall, Lund, Sweden. Molly Haslund. Magic Circles, 2018. Mårtenstorget, Lund, Sweden. We are happy to announce that Julie Sass shows an installation in the series of curated temporary Installations at Friends with Books: Art Book Fair Berlin, 20-21 October 2018, Hamburger Bahnhof - Museum für Gegenwart - Berlin. Moreover, Julie Sass participates in the Public Programmes series that features lectures, performances, conversations, and panel discussions, also as a part of Friends with Books: Art Book Fair Berlin, Hamburger Bahnhof - Museum für Gegenwart - Berlin. Furthermore, Peter Brandt will have a residency at the prominent Delfina Foundation, London, UK, from October 8 - December 23, 2018. For more information concerning this residency, see Delfina Foundation/Peter Brandt. Peter Brandt. Monument to Sexual Violence, 2018. Bleached silk, watercolor and pencil. 330 x 135 cm. Opal Spaces is proud to present our first online exhibition A Bodily Turn, August 31 - September 2, 2018. During these mentioned days, Copenhagen, Denmark, turns into the leading and most vibrant center for contemporary art in Scandinavia; two prominent art fairs are held in Copenhagen, Denmark, during these days, namely CHART Art Fair and Code Art Fair. We strongly recommend anyone to visit these two art fairs. At the same time, Opal Spaces will offer collectors a selection of works created by some of Denmark's best artists working within the field of contemporary art. And with this purpose in mind Opal Spaces has curated A Bodily Turn. The exhibition A Bodily Turn presents works that concern or are of the body. The bodily gesture of the painting, the bodily movement that puts its imprint on the object, the body as a point of trauma and pain, the body as the subject of sensation and perception, the body as the pole that desire, dreams and memories derive from, the body as the body of the viewer encountering a choreography of colours moving in space, the body as the entity that unfolds in performative agency - all these bodies are focused in the show A Bodily Turn. For a number of years Peter Brandt has thematized the various appearances of trauma and masculinity related to the body. The wounded body is Brand's most vital thematic material, which he unfolds in both performative photographs, video works and textiles. In numerous installations Marianne Therese Grønnow has invited the viewer to with her/his own body to sense the work of art as a material, aesthetic and metaphysical entity. In immersive installations the viewer has been invited to join as a participating co-creator of an aesthetic experience, where the viewer's body is a marker of scale. In Grønnows paintings, which have sensations of nature as their starting point, nature is given as the horizon that optically unfolds itself for the body in an excess that connects to the metaphysical. Molly Haslund's works have the performative body as their focal point. Haslund investigates in her works how ideas and identities are transformed through bodily movements and gestures. In her performative works, Haslund integrates biographical elements, just as her works are flooded with a choreographic impulse. Dorte Jelstrup thematizes the feminine bodily subjectivity and the states of consciousness, of longing, desire and memory that derive from this basic position. Jelstrup's sensualist-oriented work disseminates subjective bodily experiences in both satin ribbon paintings, performative and choreographically-embossed photographs, drawings and installations. 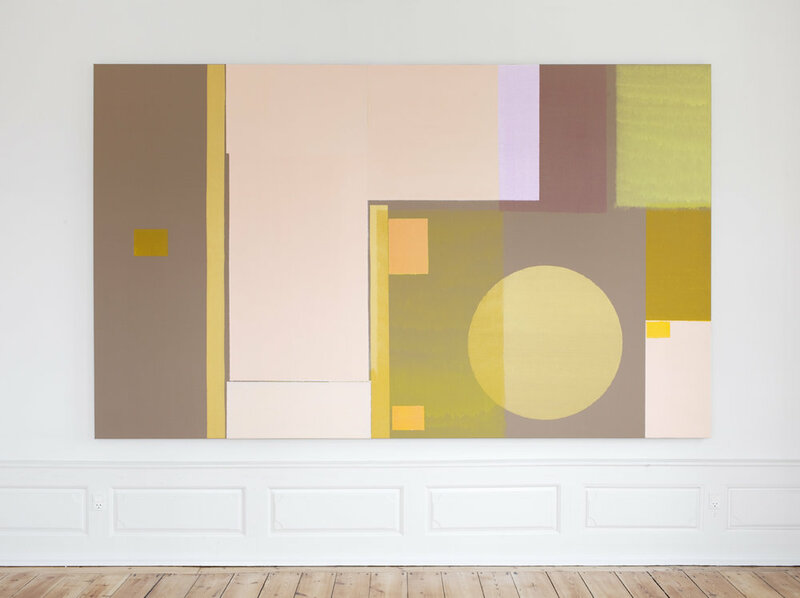 Bodil Nielsen's painting establishes a floating and dynamic field and, together with the viewer's experience of the image, creates a choreography of colour. Nielsen's work is to perceive as volatile proposals in relation to the relationship between the viewer, her/his body, the sensation and the work of art. 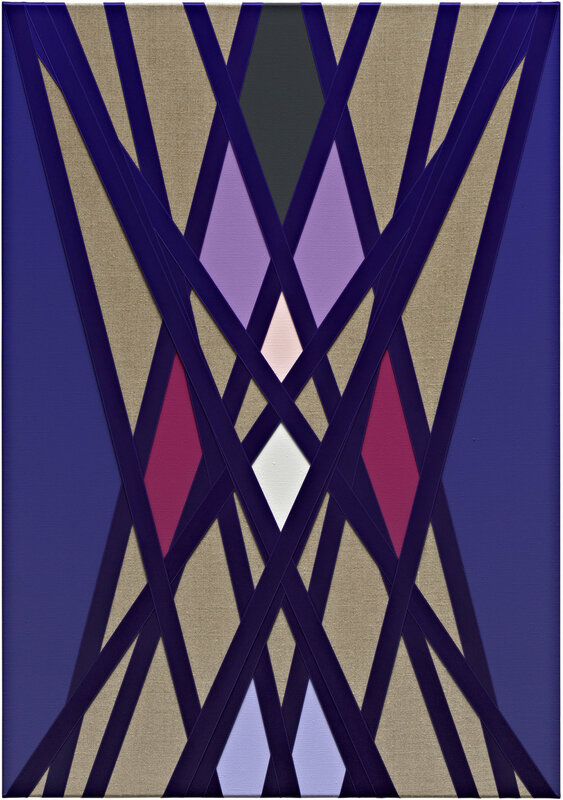 Julie Sass unfolds the bodily gesture as a generative method in paintings and textile work. The materialistically-oriented abstract works are for the viewer to experience as dissections of dynamic relationships between forms and gestural movements. Maria Wæhrens focuses the body as a point for queer thinking and probations of power structures, hierarchies and normative patterns that are inherited and passed on in the family and in society as a whole. Wæhrens shows a physical, bodily approach to painting as a medium characterized by great expressionism, and in Wæhrens' figurative paintings the image is distinguished by an automated and brutal brushing. For more information about the participating artists, please see Opal Spaces, opalspaces.com. Works by Julie Sass are on view at the exhibition "A brief History of Abstraction", Rønnebæksholm, Næstved, Denmark, May 5 - September, 2018. Moreover, the entire exhibition is curated by Julie Sass. Alain Biltereyst, Ann Pibal, Arturo Herrera, Dan Walsh, Ebbe Stub Wittrup, Erin Lawlor, Eva Steen Christensen, Hansina Iversen, Henri Michaux, James Hyde, Maria Buras, Man Ray, Marie Søndergaard Lolk, Michelle Grabner, Moira Dryer, Noël Dolla, Rachel Beach, Rannva Kunoy, Shirley Jaffe, Shirley Goldfarb, Sonja Ferlov Mancoba, Vilhelm Bjerke Petersen, Yoko Ono. Julie Sass includes both her older works and new works created specifically for the exhibition.